A juvenile shoplifting suspect was presented with a confrontation he probably did not expected when he allegedly tried to shoplifter merchandise. At approximately 2 p.m. on Monday, October 2, the 17-year old male suspect was observed shoplifting goods at the Bruceville Road Walmart in Elk Grove. When a store loss prevention employee attempted to detain the suspect, he attempted to run away. When an Elk Grove Police officer, who was in the store on unrelated charges, attempted to detain him, the suspect resisted. Between the police officer, the loss prevention employee and a passerby, the suspect was detained. 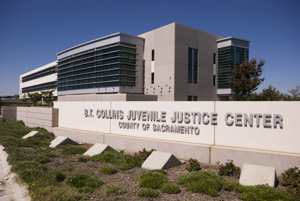 When the suspect was taken to juvenile hall, officers determined he had provided false information about his identity.